Brazilian singer song-writer Céu has been captivating audiences worldwide with her mesmerising and unique blend of bossa nova rhythms, electronica, soul-infused samba, jazz, reggae and dub. Her self-titled debut album in 2008 earned her both Grammy and Latin Grammy nominations, countless press accolades, and chart topping numbers and made her the biggest selling Brazilian artist in the UK. Céu’s fresh electropical sound is emblematic of her hometown Sao Paulo, the intensely urban, forward-looking megalopolis of the tropics, the epicentre of the independent music scene in Brazil and a buzzing hotbed of invention and musical breakthrough. Now she’s back with an acclaimed new album, "Caravana Sereia Bloom" (out 2 April 2012 on Six Degrees Records) and her first UK tour, presented on tour by La Linea – The London Latin Music Festival with support from Arts Council of England. Accompanied by Lucas Martins (bass), Dustan Gallas (guitar and keyboards), Bruno Buarque (drums) and DJ Marco (turntables and MPC), Céu's 6-date tour takes in Bristol, London, Manchester, Coventry, Gateshead and Brighton, bringing a taste of contemporary Brazil to cities around the UK. 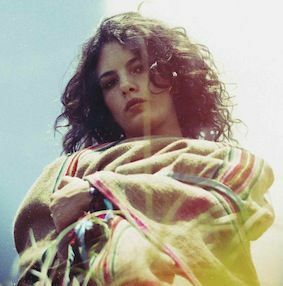 Support on the tour comes from Céu's fellow countryman and rising tropicalia pop funk star, Curumin. A wonderful singer and multi-instrumentalist from the same scene as CSS and Telepathique, he spices up his samba funk with hip hop, dub and psychedelic infusions. At London's KOKO Lucas Santtana, one of the most exciting new Brazilian artists, completes the line-up.